Despite some information you may hear, caffeine and coffee, in general, do not raise the risk for hypertension (high blood pressure). Several studies have shown that consumption of up to 4 cups of coffee has no effect on hypertension, so if you’re a coffee drinker, you don’t have to worry. If you don’t care for coffee, however, or you’re looking for a refreshing new way to get your morning caffeine, an iced matcha green tea latte may be the answer. Matcha is a powdered form of green tea that you mix directly into a liquid without steeping, so you get the benefit of consuming the whole tea leaf, including a much higher dosage of catechins, which are potent antioxidants, than regular green tea. 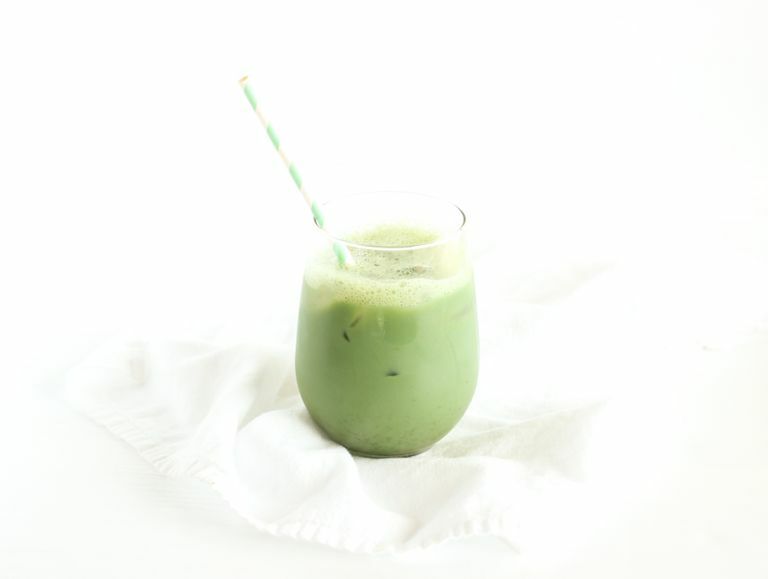 This iced matcha green tea latte is made with just 3 simple ingredients and is a refreshing and nutritious drink that you can whip up in just a minute. You can customize it with your favorite type of milk or sweetener for a delicious, antioxidant-filled summer drink. In a glass measuring cup, vigorously whisk together milk, matcha powder, and agave until matcha is dissolved. Use any type of milk you prefer. Keep it low calorie with skim milk or unsweetened almond milk. To make this diabetes-friendly, use a little bit of liquid stevia instead of agave nectar.